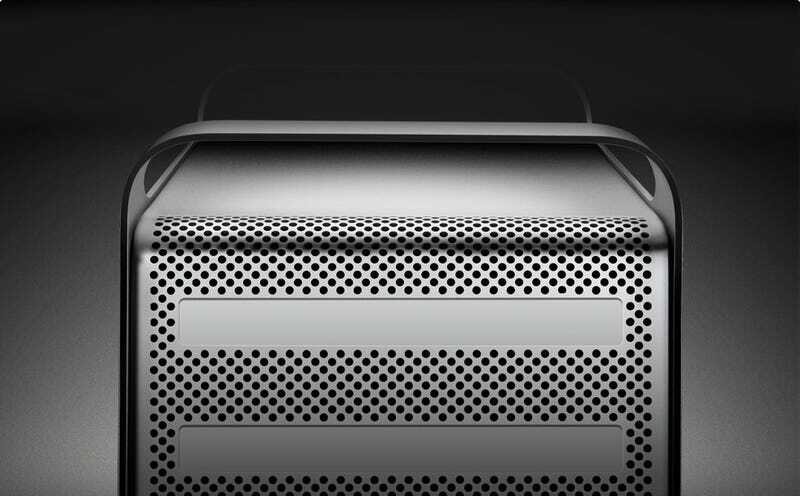 The new Mac Pros fit up to two (Westmere) 4-core Xeon processors, sure, but if you've got the inclination, you can load up on dual 6-core Intel Xeon processors, or 12 cores of power. As for the design? That's unchanged. In simpler-speak, the big update is that the Mac Pro shifted from 45nm Nahalem processors (other than in the $2,500 base model) to 32 nm Westmere processors. Those holding out on the processor generation jump to buy a new Mac Pro, it looks like that time has come. CUPERTINO, Calif., July 27 /PRNewswire-FirstCall/ — Apple® today unveiled a new Mac® Pro line with up to 12 processing cores and up to 50 percent greater performance than the previous generation. * Featuring the latest quad-core and 6-core Intel Xeon processors, all-new ATI graphics and the option for up to four 512GB solid state drives (SSD), the new Mac Pro continues to deliver amazing performance and expandability for the most demanding consumers and professionals. The new Mac Pro will be available in August through the Apple Store® (www.apple.com), Apple's retail stores and Apple Authorized Resellers. * Apple Keyboard with numerical keypad and Magic Mouse. * up to two 18x SuperDrives with double-layer support. © 2010 Apple Inc. All rights reserved. Apple, the Apple logo, Mac, Mac OS, Macintosh, Snow Leopard, iLife, iPhoto, iMovie, GarageBand, Aperture, Final Cut, Final Cut Studio, Logic, Logic Studio, Apple Store, SuperDrive, FireWire, Airport Extreme, AppleCare and iWork are trademarks of Apple. Other company and product names may be trademarks of their respective owners.